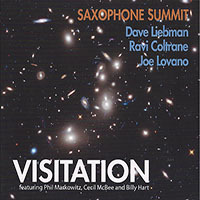 We are very pleased to introduce the Saxophone Summit: Visitation CD Project. This unique fan-funded ArtistShare project brings together some of the most monumental figures in jazz: saxophone titans Dave Liebman, Joe Lovano, and Ravi Coltrane will join forces with an equally dynamic rhythm section featuring pianist Phil Markowitz, bassist Cecil McBee, and drummer Billy Hart to create an exciting album featuring all-new music. Participants in Sax Summit's Visitation Project on ArtistShare will receive access to exclusive artist interviews, sketches of the music, online lessons, anecdotes, previews of the music from the album, and much more through ArtistShare. Each of these world-class musicians will contribute one new, original composition to the album, as well as individual and collective improvisation. Sax Summit's musical format comes out of the long-standing jazz tradition of bands featuring all-star lineups which highlight one instrument. 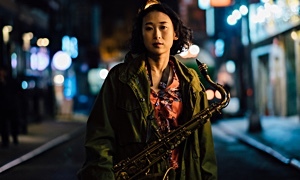 Sax Summit grew out of a concert in Japan called “Live By The Sea” in 1997, which was a commemoration of a concert done ten years earlier in Tokyo called “Live Under The Sky." 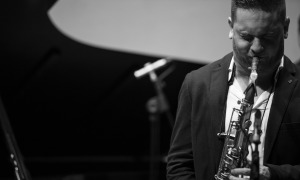 The first concert, a celebration of the twentieth anniversary of John Coltrane’s passing, featured Coltrane's music which included Wayne Shorter, Eddie Gomez, Jack DeJonette and Richie Beirach. 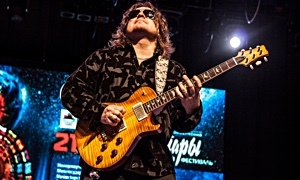 The 1997 concert featured many jazz luminaries including Pat Metheny, Christian McBride, Dave Holland and Jack DeJonette. One set, specified to be a Coltrane celebration included Joshua Redman, Michael Brecker, Dave Liebman, and George Garzone filling in for an absent Joe Lovano. Subsequent engagements at the annual Red Sea Festival in Eilat, Israel in August, 1998 featuring Lovano, Brecker, and Liebman; several nights at Birdland in New York City a few months later (an engagement which has been repeated yearly since then); a concert of Coltrane’s music at Symphony Space in New York; and a performance at the Montreal Festival cemented this ensemble's place in the modern jazz scene. Participants in the Saxophone Summit Visitation Project will have access to the creative process behind the new Visitation CD. The members of the Saxophone Summit will share their own individual approaches to composition and improvisation with their participants through exclusive artist interviews, sketches of the music, online lessons, anecdotes, previews of the music from the album, and much more. The end result of this project will be the new Visitation CD featuring Saxophone Summit's latest creative works.